Motorola Mobility has been among the front runners of Android, but despite the fact that it has released a couple of competitive Android devices, BMO Capital Markets analyst Tim Long downgraded the company from a “market perform” rating to an “underperform” rating. The analyst stressed that growing competition in the smartphone market will impact the company’s future results. Initially, it was HTC and Moto competing in the Android market, but they've been joined by the other big names in the industry like Samsung, LG and Sony Ericsson. Long expects each of these to ship more phones than Motorola in this quarter. He also based his downgrade on the fact that Moto's lack of global reach is becoming an issue and he didn't forget to mention that the company has lost half of its Android market share in the past year. Recently, Credit Suisse has also downgraded Motorola Mobility to “underperform” amidst growing competition. Motorola has been struggling to get its 4G dual-core Motorola DROID BIONIC and that could be an additional factor for the company's tepid results, but it promises to release the BIONIC in the summer. Will it be enough for Motorola to bounce back? Feel free to share your thoughts in the comments below. LOL.....who didnt see this coming a mile away thats what happens when you blow a cell phone release and let your competitors take all of your customers also the decision to make its "flagship phone" the Droid X2 a 3G phone was mind boggling stupid. How many people would have thumbed their noses at the other 4G nightmares Verizon has to offer if the X2 had been a 4G? Idk what's going on with Moto last year you couldn't stop them from releasing devices whether it be vzw att or tmo. This year barely any. I wonder if some sort of internal strife is to blame. Or making Moto mobility separate was a bad idea. Yea....this is expected. Hope for them next year be a better year for releasing products. They bet on android alone to save their neck. Sony doing the same thing. They both will fail at the end. As we can see, Moto already is. Unlike other companies, they embrace other platforms and are doing well. Gotta have a backup. Nokia did the right thing. Embrace wp7 and their products will not be lost in the see of androids. Elop even mentioned it when he made the decision to take on wp7. Goodbye Moto and we will also say goodbye to sonyerricson. Motorola has been worse off before. They can most certainly bounce back, if they can get the Bionic released and if it's a quality phone like it should be. Come on, Moto. Don't give up. I've been your customer since 2007. I don't want to buy from anyone else. They are making baby steps forward by getting into Sprints product lineup. The Photon is looking to be a nice phone offering. I'm on VZW and like others if the Bionic was around when it should have been I would have purchased it over the Droid Charge I bought. Unoftunately I don't want to sit around and wait for something to come out when it has apparently been pushed back a few times already. They missed the 1st wave of Android 4G sweetness on VZW and while the Bionic will still do good, it won't be the blockbuster it could have been if it would have been released when the Charge and Revolution were released. This alone won't kill Moto, but it will hurt them enough to not delay products so long. Ive never been a big fan of Motorola. I dont like the design of their phones nor the software they employ, never have. That isnt saying the design isnt good, just not my taste. The software though I feel has always been bad. It wouldnt sadden me any if Moto was gone, but everyone should know they can bounce back with one good phone. Jha needs to step down or be ousted - he's only had one success, the OG Droid (which probably can be attributed more to Google than to Moto) and almost every decision after that - from Blur, to Webtop, to this latest non-existent LTE fiasco - has been a disaster. @StillStuckWithDroid; @lembowski; @slinky317 Jha has been the hero in the story YOU don't know ...how PITA 4G/LTE development has been. HTC has suffered being first LTE handset and Moto appears to be wisely holding back until all is resolved - expensive,? ...reputation is hard to earn back once it is lost - ask RIM about the STORM and how it affected rep. HTC has enough winners and being first comes with caveats... they will survive. The question is, will Roger G survive? I've owned two Motorola's in my life, both flip-phones, the first was trash (the charging port broke three months in), the second was a RAZR with rediculous glitches. When they restructured and the first batch of Droids dropped, I was impressed. 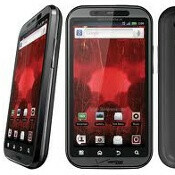 What they have for 3G phones on Verizon blows anything else away (X2 and upcoming Droid 3 are amazing devices). Forget the Bionic...once the Targa arrives, people will be like: "Holy s**t". Take my word for it, Motorola is one company that can't be written-off. Right now the "hot" devices are those made by Samsung and HTC. Not scrubs in the device world, Motorola has their work cut out for them in competing with those two for sales. No doubt, Moto needs the "Photon" and "Bionic" to take no prisoners. However, to say Moto has anything to worry about from LG, Sony, or any other handset maker in the Droid market is a little silly. LG is just now stepping up to the plate with a premium device with the "Thrill", and they look to take the market by storm.... with Froyo 2.2 onboard. Does anyone even think the "play" from Sony will compete? I am sure the "Echo" has the Photon shivering. Now, I can't comment to the world wide market, only the US. But Moto needs to put out good devices, and delay where needed to ensure it lives up to the hype. Quality will help them bounce back. No bugs, improved blur, responsive UI, competitive screens= no problem. I would have no second thoughts about grabbing a high end Moto.